Nestled just a few blocks off East Passyunk’s main strip lies a storefront with twin neon signs like glowing beacons enticing you to come inside. That place is Fountain Porter, home of the $5 burger. That’s right, folks. Five bucks. One Abe Lincoln. There are no frills and no gimmicks. If you want a burger, you come here (and hopefully you do, because other than some bar snacks, that’s the only item on the menu). The burger comes on a soft potato roll topped with lettuce, tomato and American cheese (pickles on the side, ribbed for your snacking pleasure). Standard. Simple. Perfect char on the outside, delicious and juicy on the inside, just the way a good bar burger should be. Pair this bad boy with a side of crispy, hand-cut fries and you’re “gonna go all the way tonight“. 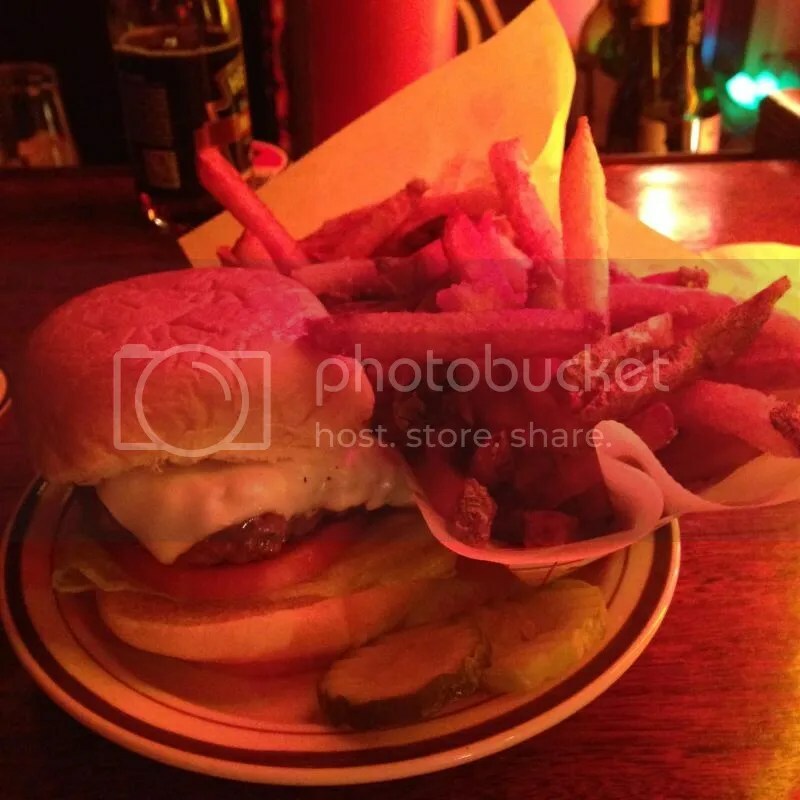 Posted in American cheese, bar burger, beer, buns, burger, burger deals, East Passyunk, five bucks, Fountain Porter, lettuce, no-frills, pickles, potato roll, simple, tomato. Bookmark the permalink.